Online stream anime episodes, Watch Naruto Shippuuden Episode 125 English Subbed online and free episodes. Anime Episode guide, Chapter Naruto Shippuuden Episode 125 English Subbed Disappearance Upon noticing the blast, Suigetsu summons Manda and finds out that Sasuke had used him to escape. 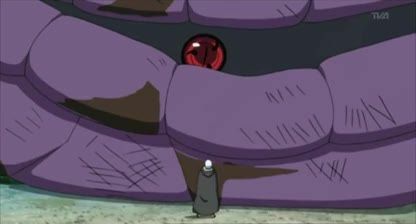 Unable to survive, Manda dies from his wounds and Zetsu informs the remaining Akatsuki of the death of Deidara and Tobi. Naruto and the others get to the crater, and using Kiba’s tracking skills they begin to track down Sasuke’s scent. Meanwhile, the Akatsuki leader, Pain and his partner, Konan, are then ordered to capture the Nine-Tailed Jinchūriki by a mysterious man, Tobi, his real identity being Madara Uchiha.